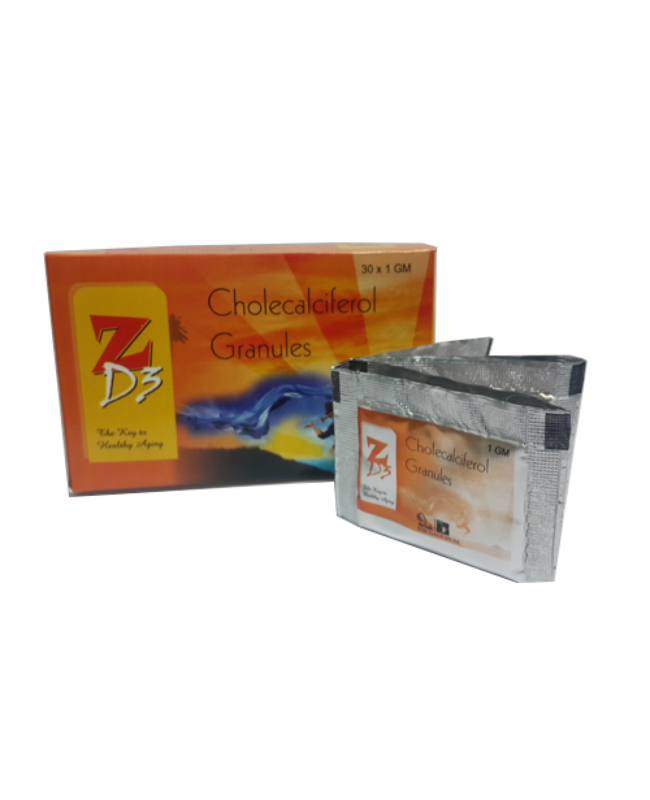 Buy Vitamin D3 Online - Arlak Z-D3 Sachet is helpful for for the maintaining healthy calcium and phosphorous levels in the body. It's also contribute to increased muscle strength, which may help improve balance and reduce the risk of falls among old people. 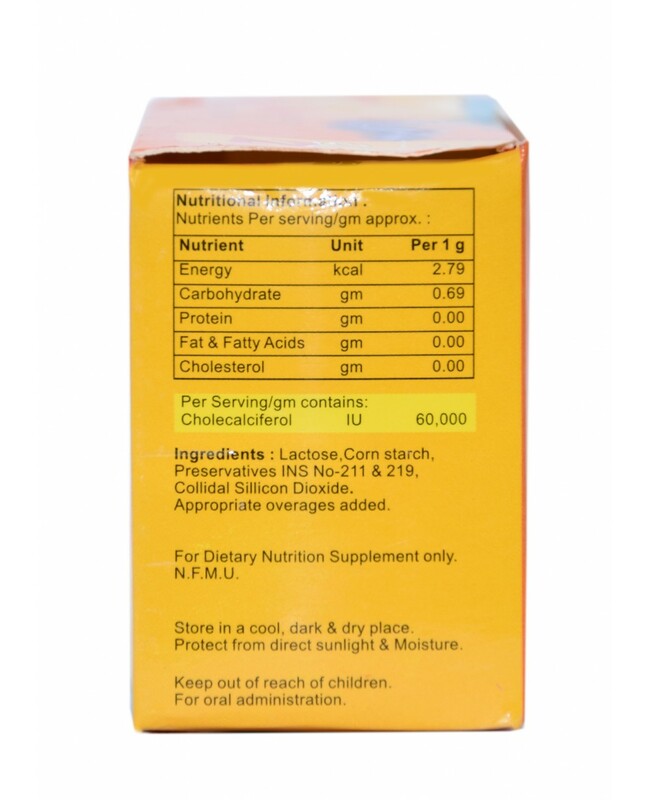 Add 1/4 to 1 sachet to half glass of milk & drink, Repeat as and when required. Do not use if sachet is open leak or damage. Keep out of reach of children For oral administration. Note:Store in a cool, dark & dry place. Protect from direct sunlight & moisture. Reduces risk of multiple sclerosis. Helps to reduce your likelihood of developing the flu. Decreases your chance of developing heart disease. Also helpful for maintaining blood pressure. 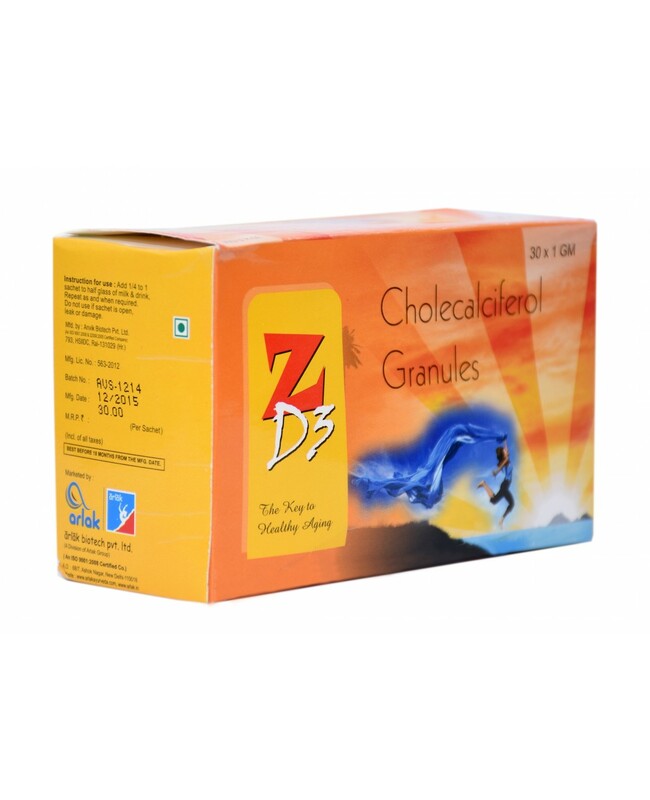 So if you are looking to buy vitamin d3 online then try Arlak Z- D3 Sachet once in order to see the best results. 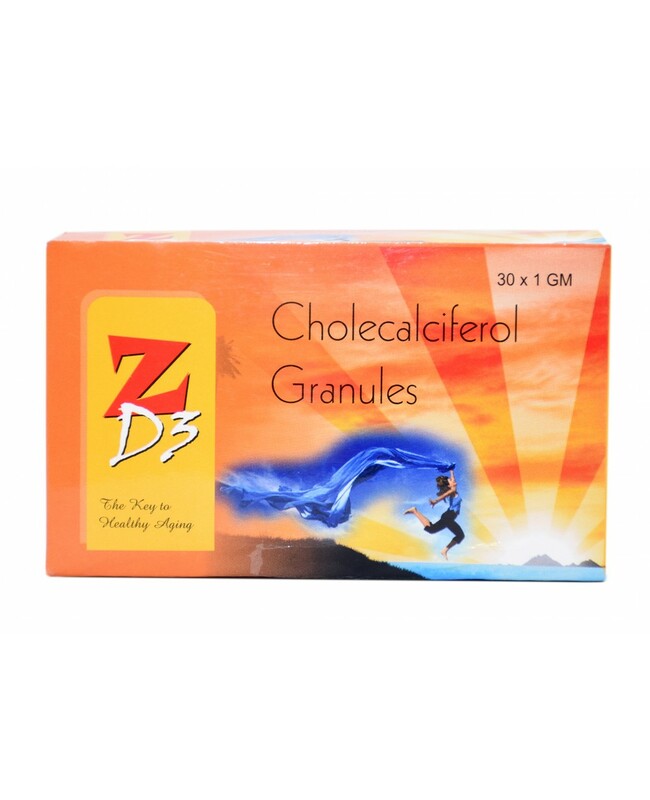 NOTE: Vitamin D3 supplements are considered as one of the best supplement to get rid of many health issue. But overdose may create problems. So Use Arlak Z D3 supplement as directed. 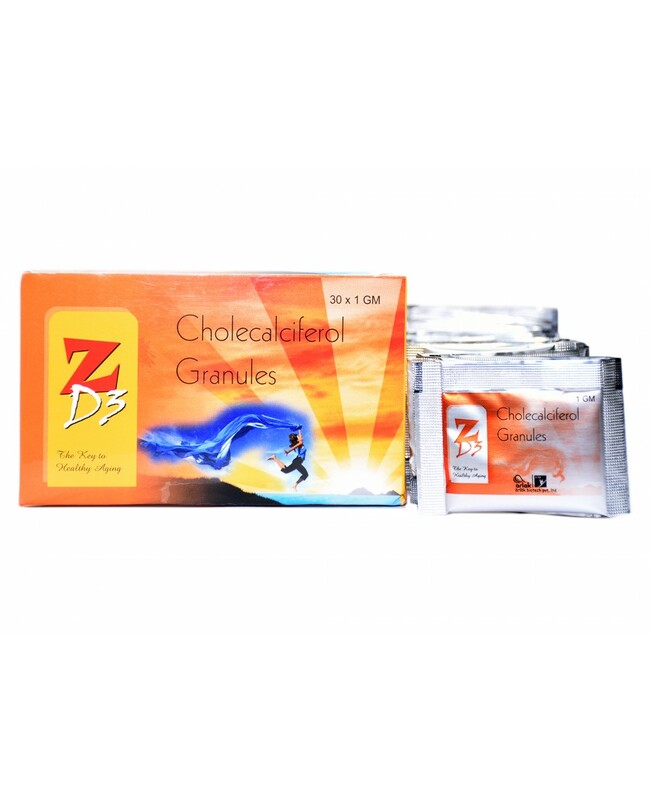 Or if you are suffering from any disease or health issue then consult doctor first before using.